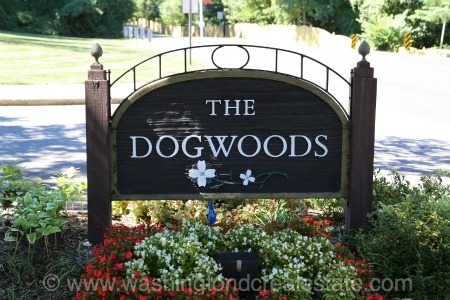 The Dogwoods at Langley is a neighborhood of single-family homes located in McLean, Virginia. The community features brick Colonial-style homes, many of which were built in the early 1970s. The Courts neighborhood is located in McLean inside the Beltway off Chain Bridge Road, east of the George Washington Parkway. Homes in the community are located on Bent Twig Road, Merrie Ridge Road and Round Oak Court. The Courts is served by the Franklin Sherman Elementary School, Longfellow Middle School and McLean High School.